Antonio Conte insists no-one should question his treatment of Willian after winning the title for Chelsea last season. Willian has starred for Chelsea in recent weeks, scoring four goals in his last six appearances. That includes a stunning strike and performance against Barcelona in midweek. The Brazil international was used more sparingly last term, starting just 15 of Chelsea’s 38 League games. But Conte reacted angrily to suggestions that he hasn’t picked him enough since taking over at Stamford Bridge in 2016. He said: “Do you think that I am stupid? When I put Willian on the bench? I have to try and make the best decision for the team, no? Maybe last season we won the title, or did I forget something? “Now he is playing because he deserves to play. But not because there is some regret from the past. For what? “If a player deserves to play, and shows me during the training session that he is on top of his form, and wants to work defensively, he plays. If not, stay on the bench, stay in the stands. “But this is not only for one player, but for all my players. This is what a winning mentality is. Not if one player is happy or if he is not happy if he doesn’t play. It doesn’t matter. 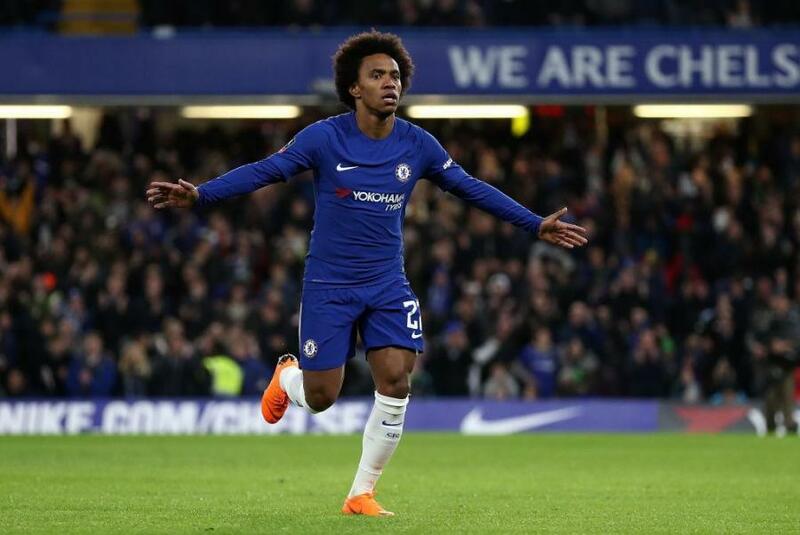 Willian is in strong contention to play again on Sunday against Manchester United, who will have former Chelsea midfielder Nemanja Matic in their side. Matic asked to leave Chelsea in the summer and the Blues surprisingly accepted a £40m bid from their Premier League rivals. Chelsea signed Tiemoue Bakayoko from Monaco to replace him, but he has failed to make an impact so far. When asked if he misses Matic being part of the side, Conte added: “About this player I can only talk really well because he played with us last season. Conte has intimated in the past that Chelsea were wrong to allow Matic to move to Old Trafford, saying ‘you will have to ask the club’ when questioned about it. He was pressed again on the subject today and significantly refused to discuss the topic.